The core of the Heathen worldview is community – the social group within which the Heathen exists. When we look back at the historic Germanic tribes that Heathens draw many of their spiritual and philosophical inspirations from, we see a very strong importance placed on friends and family. The Eddas and Sagas are littered with tales of the close bonds of both kith and kin, and warnings of the consequences of transgressions against these bonds. Everything else about the general Heathen worldview hinged off the concept of community. Our actions, for example, are moderated not by guilt, but by shame. Whereas guilt is internally generated, shame comes from your community. To act in a manner unbefitting of your community is shameful and can have undesirable results up to and including expulsion from your social group. In the historical context, being ostracised from your community could well be fatal as living in the wilder parts of the world was a very dangerous and arduous undertaking. In modern times, the dangers are not quite so real, but social ostracism can still have significant consequence. Conversely, there is worth, which is also given by the community. When someone performs a worthy deed, they are (and should be) well recognised for it. Prestige is gained and respect is garnered. The act of performing certain rites and celebrating certain festivals is also community based. These are social occasions used, at least in part, as a way for the community to affirm, confirm, and reaffirm social bonds and obligations. Within this, we further find the concept of reciprocity. People give so that they may receive. In this way, each gift reinforces the social bonds and also serves to strengthen the community. In the ritual sense, community is not just those members of the human community of which the Heathen is a part but includes a wide range of non-human intelligences commonly known as “wights”, as well as greater beings known as gods. The word “wight” comes from the Old English “wiht” and simply means “being”. They are the unseen (but not always!) beings that exist in the world and can be called upon to act as guardians, aides and tutelary spirits. A well known example of a wight would be the British brownie – a helpful spirit that would live in the home and help with household chores, in exchange for small gifts of food (once again showing the reciprocal nature of relationships in the Heathen worldview). The Heathen gods are the gods of the historic Germanic peoples and are well-known today through the distorted lens of popular media, including Marvel Comic’s “Thor”, and have given the English language many of its weekday names. They are beings of great (but not unlimited) power and it is often the differing perceptions of them that defines the various denominations of Heathenry that we see in the modern day. The gods are divided into two categories or “tribes” – the Aesir and the Vanir. We read, in the Icelandic Eddas, that these two tribes were once at war but made a truce with an exchanging of captives. Most of the stories of the gods concerns the Aesir and their Vanir hostages. Notably, their dealings with the often antagonistic jotnar (commonly called “giants”). Whilst we do find myths talking about possible post mortem destinations for the soul, Heathenry is more a world accepting religion. That is to say that the Heathen does not fixate upon living in the hope of a reward in the afterlife, as we see in world rejecting religions such as Christianity. Rather, the Heathen lives very much with their focus in this world. Within Heathenry, there is the concept of Wyrd. This word is often translated as “fate” but it is not quite fate as people know it. “Fate” carries implications of inevitability, of a certain lack of free will almost. Wyrd, on the other hand, is more about the influence of the past on the present and, thus, the future. As you progress in your life you make choices, actions and inactions. Each one of these influences your future choices and limits your potential actions. Your ultimate fate remains fixed (for all are doomed to die), but you have the power to approach it on your own terms. Wyrd therefore gives the Heathen all the motivation they need to live a good, worthy life without the threat of an unappealing afterlife. In around the year 1000, Iceland officially converted to Christianity and the Heathen Era of the Germanic cultures came to an end. For almost a thousand years Christianity exerted ever more influence on Europe and much of the old customs, beliefs, and practices were either forgotten or syncretised into Christian traditions. The “old ways” first saw a revival in the second half of the 18th century in the romantic nationalism movement that lasted until the early 20th century. With this came a lot of ahistorical notions (such as the myth of the noble savage) and a certain amount of racist mentality. With the rise of a certain German workers’ party, the romanticism of Germanic culture experienced a rather rapid wane in interest and, so, we did not really experience any serious interest in the old customs of the pre-Christian Germanic cultures until the early 1970s. 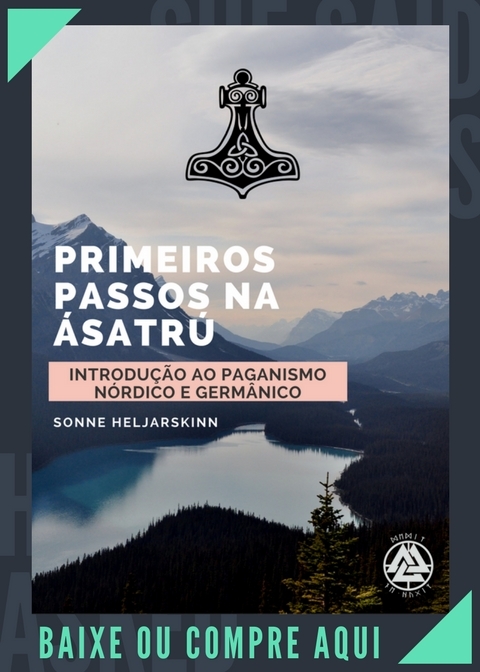 In 1972, the Icelandic Asatru Fellowship was formed with the express purpose of promoting a revitalised form of Heathenry, with American and British organisations forming in the following years. 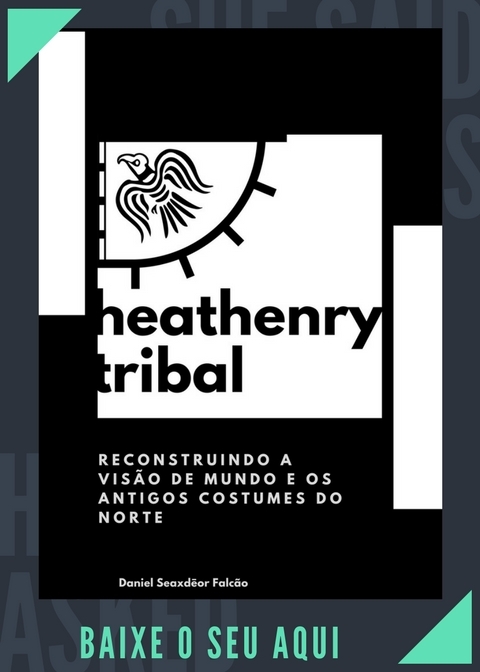 With these new organisations, we saw different approaches arise and the effective creation of the various denominations of Heathenry that we see today. Some of these denominations are described as “folkish”, which is to say that they hold the romanticist belief that there is an ethnic component to Heathenry. Put simply, they advocate that Heathenry is about a return to the beliefs of their distant ancestors. If your ancestors are not of “Germanic stock”, expect many folkish Heathens to encourage you to look to your own ancestry for guidance on a spiritual path. Other denominations are more “universalist”. They hold that there is not racial aspect to Heathenry and that anyone can be called to the religion. The fundamental difference between the folkish and the universalist Heathens has caused controversy over the years. Once we get past the folkish/universalist distraction, we can see that modern Heathenry is largely divided by cultural approach. Many heathens focus their religious reconstruction on specific temporal periods and geographical regions. There are those who look to Anglo-Saxon sources for the bulk of their inspiration, whilst others look to Icelandic or other sources of information. 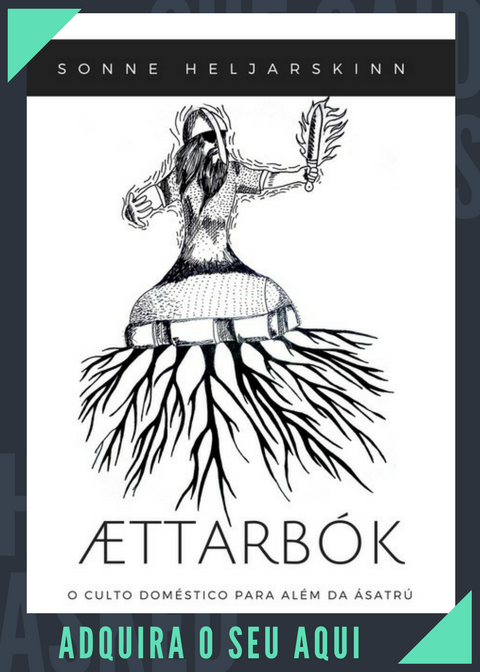 The most numerous demographic are those who look at the whole body of information available (especially the mythological tales collected in the Icelandic bodies of works known as the Poetic and Prose Eddas) and take the bits that have the most appeal. Whilst numbers are still very low, compared to some other modern religions, Heathens are organising more and more events where they can come together and hold community rites. Oftentimes, a group will have adherents of several denominations who will set aside their differences in order to focus on the larger matters at hand. With the rise of the internet we have also seen the rise of online communities that are allowing Heathens to “network” in order to come together with those of like mind. Some groups and individuals may also maintain links with Pagans and/or Pagan groups. One subject so far untouched is that of magical belief and practice. Historically, there is evidence that the Germanic peoples did employ magic and magic users for certain purposes, but that it was not likely something to be undertaken by the everyday person. In modern times we find similar feelings about the efficacy of magic, as well as the notion that it is not for everyone to use. Instead, people are more likely to be inclined to give offerings to either the gods, the wights, or even their ancestors in the hope of attracting their favour in situations where a more than mundane approach may be desirable. Those who practice Heathen magics do so in relative secrecy. As Heathenry continues to grow, groups become more established and draw greater numbers, allowing more and more projects to unfold. One example of this is the purchasing or construction of buildings for use as temples or community spaces. The (folkish) Odinist Fellowship has already acquired a building in Newark for use as a temple and the (universalist) Icelandic Asatru Fellowship have started constructing a dedicated Hof or temple. Doubtless we will see more of this kind of endeavour, as Heathenry grows. Who knows what else the future will bring? Wyrd wends ever as she will! Anterior Previous post: Quem foi Ragnar Lothbrok?